Colorado Parks and Wildlife reports steady progress is being made on expensive repairs and upgrades to the Two Buttes Reservoir. The changes are designed to increase the capacity of the century-old earthen dam. CPW engineers have nearly completed design of the $3.4 million project, which includes replacing two gates on the dam at a cost of $678,00 and installing a bulkhead for the gate repairs, improving the channel below the spillway for $1.37 million, installing a spillway tower for $875,000 and constructing a new gate control building for $467,000. "Two Buttes is one of 11 CPW's dams in need of critical repairs," said Travis Black, CPW area wildlife manager in Lamar. "CPW needs $38.9 million to improve the 11 dams. Two Buttes is competing for maintenance funds with the other 'critical' dams and 110 dams CPW owns statewide. So it will take several years to secure all the funds needed to complete it." 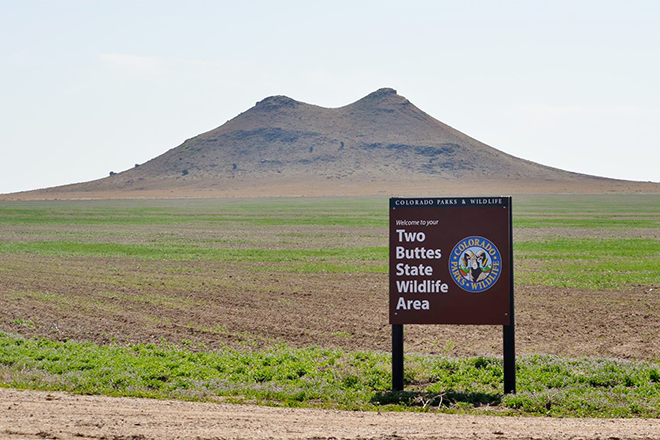 Two Buttes dam was built from 1910 to 1914 with horse, mule and hand labor by the Two Buttes irrigation district. The dam has seen several large storms including a 1965 flood which nearly over-topped the dam. As a result, the owners enlarged the spillway and added an additional four feet to the top of the dam. 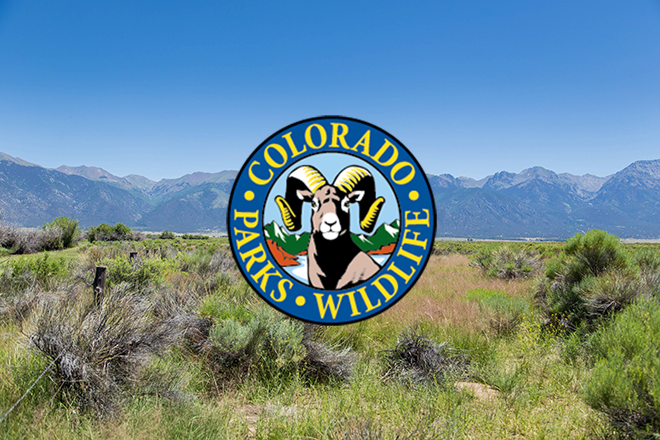 In 1970, the irrigation company sold the dam to the Colorado Department of Game, Fish and Parks (now Colorado Parks and Wildlife) for $1.05 million. The reservoir no longer irrigates any land. Instead, the reservoir and the land around it are part of CPW's 8,533-acre Two Buttes State Wildlife Area, offering hunting, boating and fishing. In 1983, the State Dam Safety Branch determined the spillway, widened after the 1965 flood, did not meet safety standards and a restriction was placed on the dam limiting the amount of water it can hold. The current restriction is approximately 10,504 acre feet of a total storage capacity of 22,000 acre-feet at the spillway crest. The dead storage between the restriction height and the spillway is meant for flood storage to help reduce the risk of dam failure from a larger event. In August 2013, monsoonal rains delivered a surge of water into the reservoir, which was dry at the time. Water rose 32 feet, or about 12,000 acre-feet. As of 2015, it had 700 surface acres and was stocked with channel catfish, rainbow trout, largemouth bass, crappie and other fish. The reservoir attracts hunters, hikers, boaters, and anglers from Baca County and neighboring states. CPW enlarged the spillway after the 2013 event and initiated meetings with the State Engineer's office to lift the restriction and increase the storage capacity of the reservoir, one of the few recreational areas in the region. "This is no small task," Black said. "But CPW is committed to seeing the project through for the people of Southeast Colorado."